The Minister of Information and Culture, Alhaji Lai Mohammed has reiterated that Lagos State has the potential to become Africa’s tourism hub. According to the minister, the Federal Government will support it in developing the sector. The minister said this on Monday in Lagos, at the Lagos Tourism Summit with the theme; “Destination Lagos: Towards a Sustainable Tourism Drive’’. Mohammed commended Gov. Akinwumi Ambode of Lagos for his interest in the tourism and creative sectors of the economy; both at the state and national level. The minister said the Federal Government had identified the tourism and creative sectors as alternative to oil, adding that his ministry was working toward developing the industry. Mohammed recalled that upon assumption of office, his ministry organised a national tourism summit to provide the platform for harnessing the potential in the sector. He said the ministry had revived the national tourism master plan to catalyse the development of the sector and also hosted a round-table on financing tourism. The minister also disclosed that Nigeria would host the 61st edition of the United Nations World Tourism Organisation (UNWTO)/Commission for Africa (CAF) Meeting, scheduled for June 4 to June 6, 2018 in Abuja. He also disclosed that the ministry would partner with relevant stakeholders, particularly, the people of Ile-Ife in Osun State in hosting the 2018 “Olojo’’ festival. “Olojo is not just only Yoruba new festival, but the oldest known festival in the world started by Ooni Ogun with the wearing of the world’s oldest monarchical crown, the sacred Aare Crown. “The festival will bring 35 of the top Africa-American travel writers, group travel agents, travel bloggers and travel film crews to the Olojo 2018 festival,’’ he said. Former President of Ghana, John Mahama commended Ambode for his contributions toward developing Lagos to a mega city and a potential tourism hub. Mahama, who was the keynote speaker at the event, underscored the need for Africa to develop tourism sector in order to solving the challenge of unemployment. He also suggested a development of integrated tour packages between Nigeria and Ghana that would attract international tourists from Lagos to Accra and vice versa. Earlier, Gov. Ambode said that his administration was committed to funding alternative platforms, particularly the tourism sector to enrich the state. The governor said that the tourism sector contributed N800 million to the state’s Gross Domestic Product (GDP) in 2017. He said as parts of efforts to transforming Lagos to tourism hub, the Lagos government was reclaiming a 50 hectares of land at the Oworonshoki end of the lagoon, for aquatic tourism purposes. 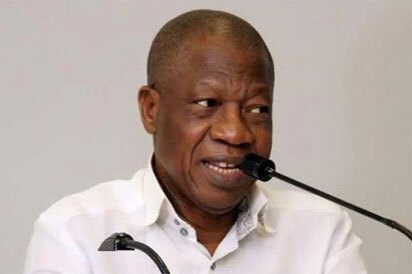 The post Lagos has the potential to become Africa’s tourism hub – Lai Mohammed appeared first on Vanguard News.